Why join us in San Diego? 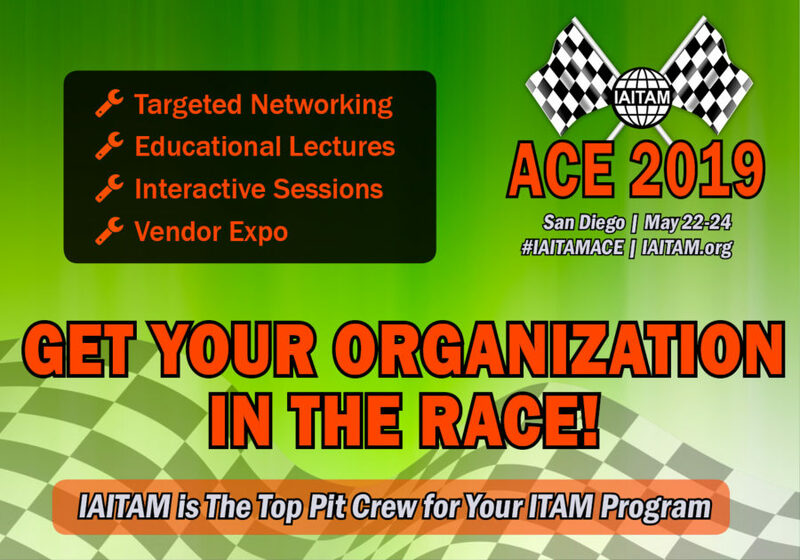 IAITAM IS THE TOP PIT CREW FOR YOUR ITAM PROGRAM. GET YOUR ORGANIZATION INTO THE RACE AT THE WORLD’S LEADING ITAM CONFERENCE, WHERE YOU CAN LEARN AND NETWORK WITH THE BEST AND BRIGHTEST IN THE ITAM INDUSTRY. Please Log In using your provided credentials. Forgot your password? Enter your Registered Email Address below and you'll be sent a password reminder email.